So, Vietnamese food… If you haven’t tried it, I recommend you should. 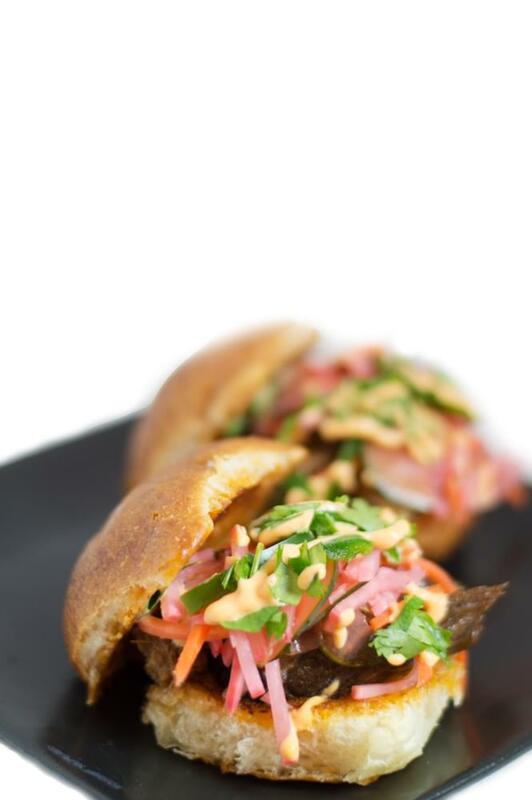 Here I’ve done a take on the Vietnamese sandwich the ‘Banh Mi’ — I’ve made them into little sliders… Mini Banh Mi’s. I’ve only made these sandwiches once before. The chicken version was a favorite, but I wanted to check out some more variations of this awesome little sandwich. Since I’ve had a bit of time off over the holidays, I’ve been conquering a few ‘bigger’ recipes … not harder, just with a few more steps and components. But I’m telling you, the results are incredible. 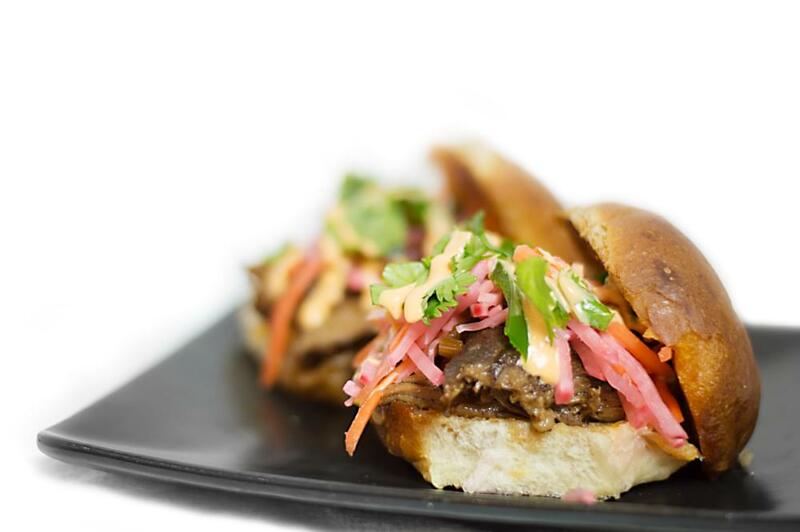 This sandwich consists of the juicy slow-cooked pork, a tangy pickled vegetable mix, and a spicy Sriracha mayonnaise. 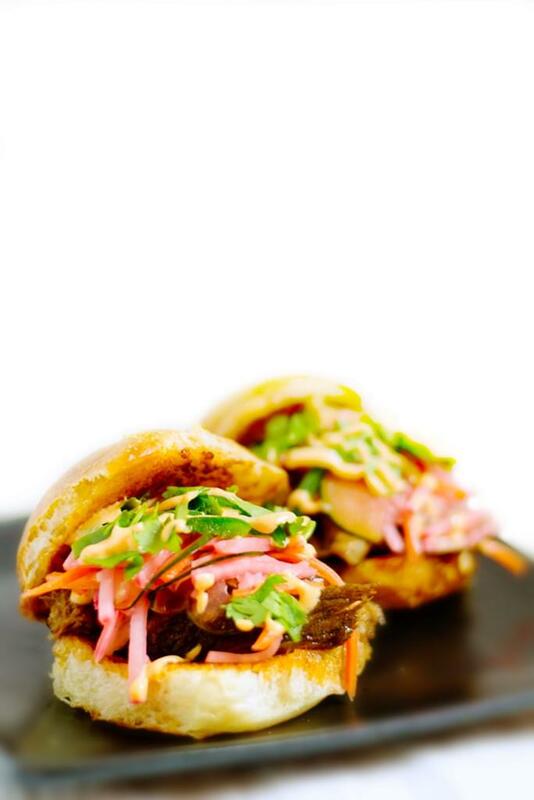 I stack it all up on a small slider bun, garnish with cilantro and jalapeno slices, and then indulge. I could have eaten ALL of these little flavor-packed sandwiches... but I restrained. 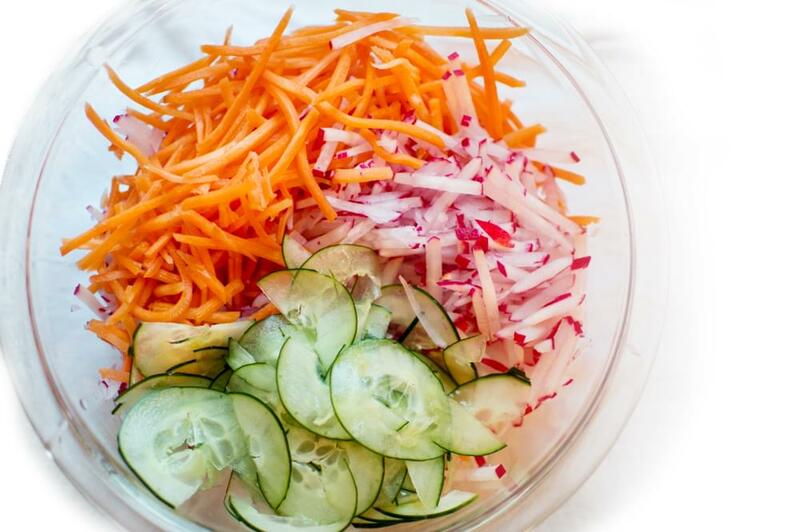 The vegetables I used for the pickled veggie mix: 1 cup shredded carrots, 2 cups shredded radishes, and 1/2 cucumber. 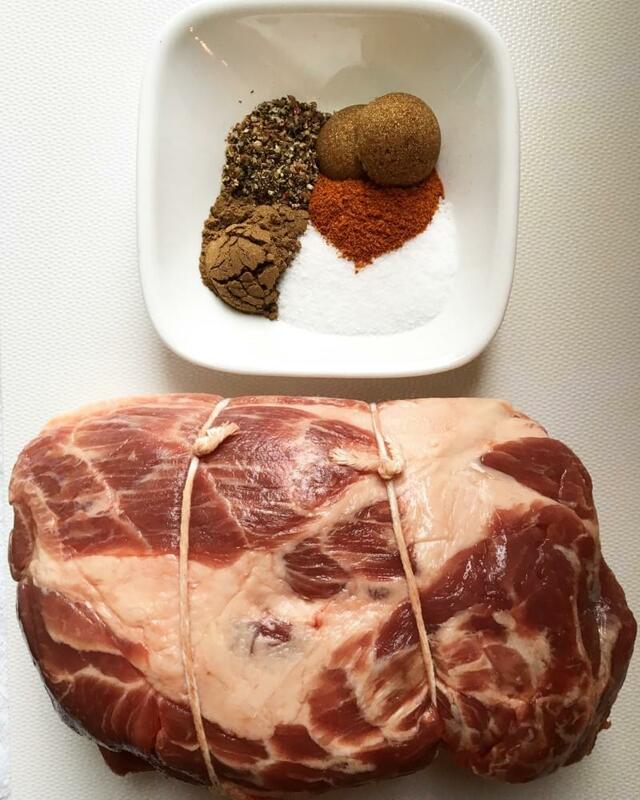 Prepare the rub by mixing five spice powder, cayenne, salt, pepper and brown sugar. 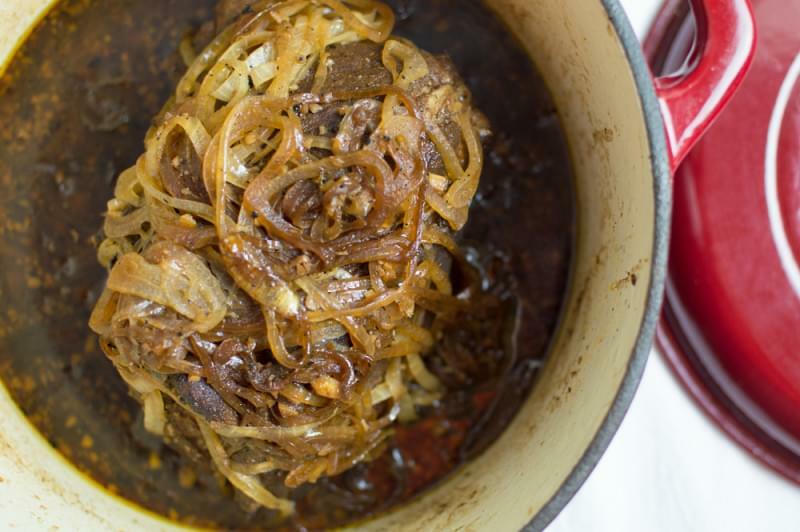 I checked the meat every thirty minutes or so and covered it with the onions.